Highlight Reel from Crossing Customs! Once again, Blake Road Productions does a wonderful job capturing our recent showcase concert at Shalin Liu Performance Center in Rockport, MA. This is just the highlight reel; full concert segments are available on the Mass Cultural Council YouTube channel. Author Heritage8Posted on November 9, 2018 January 24, 2019 Categories UncategorizedLeave a comment on Highlight Reel from Crossing Customs! We are delighted to announce the awarding of 10 new Traditional Arts Apprenticeships. These Mass Cultural Council grants support the transmission and vitality of our state’s traditional arts by funding a master artist to mentor an apprentice in a 10-month learning experience. Apprenticeships are awarded every other year. The next application deadline will by April 2020. Author Heritage8Posted on September 5, 2018 September 14, 2018 Categories Apprenticeships, artist grants, Craft, Dance, world musicTags Cambodian folk dance, Carnatic mridangam, Carnatic violin, Carnatic vocal, Epirus, guitar making, Kathak dance, laouto, luthier, musical instrument making, Nepalese music, North Indian dance, Odissi dance, south Indian dance, Westfield whips, whipmakingLeave a comment on Traditional Arts Apprenticeships Announced! 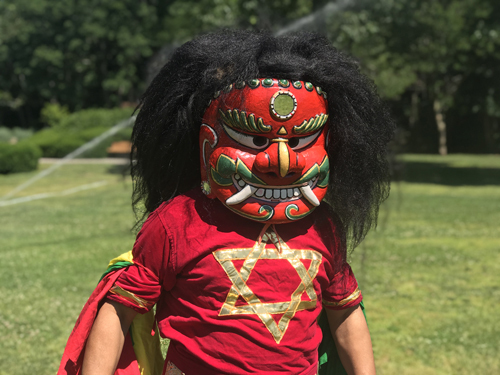 Within the small (roughly 1,500 people) but growing Nepalese community living in the Greater Boston area, talented musicians and dancers are dedicated to sharing their traditions with the world. 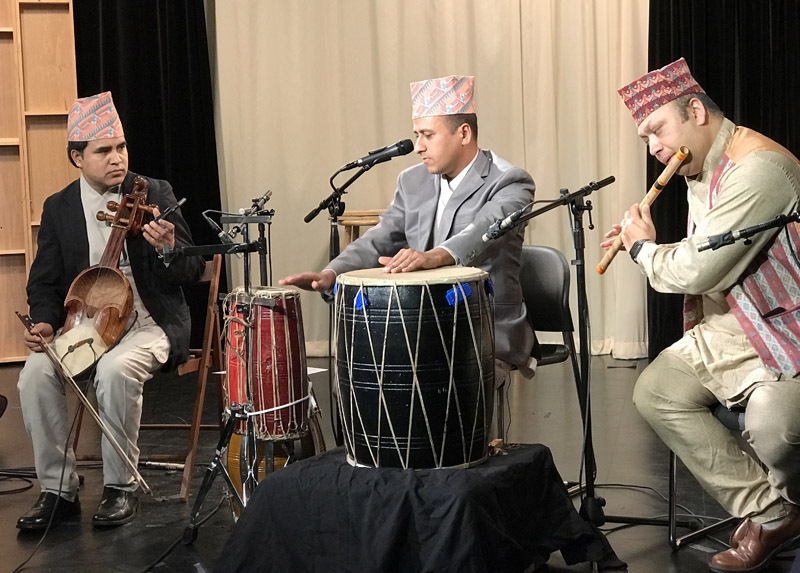 Each week at Watertown’s Chulo Nepalese Restaurant, traditional and popular Nepalese music is performed live on a makeshift stage adjacent to the bar. One Saturday evening this past spring, I was there to introduce friends to this local taste of Himalayan Nepalese culture. Shyam Nepali, the sarangi player we’d met months earlier, had invited me to bring my fiddle and to sit in with the musicians. Midway through the evening, he introduced me to Raj Kapoor, saying he was talented dancer and folk dance choreographer who had recently relocated to Massachusetts from New York City. Eager to learn more about Kapoor’s role in Nepalese dance, we arranged to meet for an interview. In the interim, Shyam sent me a copy of a clipping from the New York Times, showing a picture of Kapoor on stage at a 1998 Symphony Space performance. 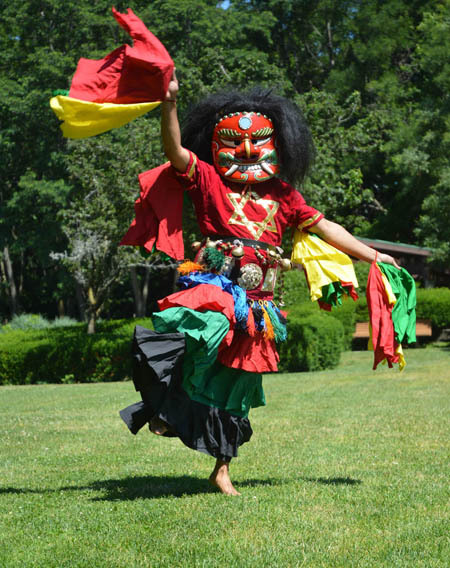 The concert, sponsored by the World Music Institute, featured Kapoor in the Nepalese Lakhe Mask Dance. On June 26, I drove to Watertown to pick up Shyam Nepali. When I arrived, he let me know that Raj Kapoor preferred we come to him – he lives near a large park where he would have space to dance. So Shyam, a young Nepalese American man visiting from New York, and I got in my car and drove through Watertown traffic, finding our way to Kapoor’s home, a two-story small town house in a long row of town houses. After greeting Kapoor (they refer him this way), Kapoor and Shyam went into the bedroom just off the small living room so Kapoor could get into costume. The process takes two or three people. 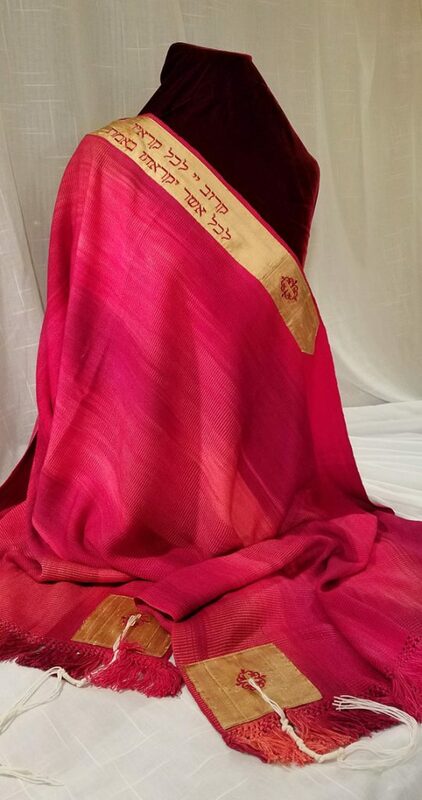 After donning a red shirt emblazoned with a gold hexagram and a multi-layered skirt, there was a lot of wrapping of material to create a head turban and colorful ribbons around the arms. 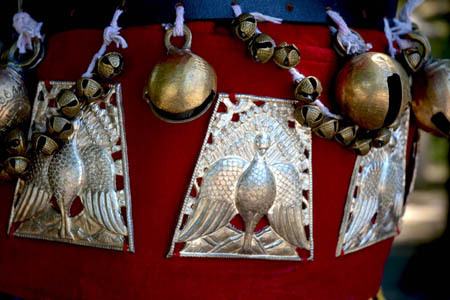 The belt was adorned with silver medallions depicting peacocks and dragons, as well as multiple brass bells that ring with the body’s motion. And then there is the mask, which is both magnificent and frightening. Made of made of brightly painted papier–mâché, the mask is topped with a full head of coarse black hair from a yak’s tail. Once Kapoor was dressed, we left the house and crossed the asphalt parking lot into Domenick Filippello Playground. The park is enormous and well groomed. After climbing up onto a bench to pose for pictures, Kapoor looked around for a suitable place to demonstrate the mask dance on the open grass. Shyam offered to take video on my iPhone while I used my Nikon for stills. As we were scouting out spots, the sprinkler system suddenly came on, forcing us to scramble to move my equipment bag out of the way. 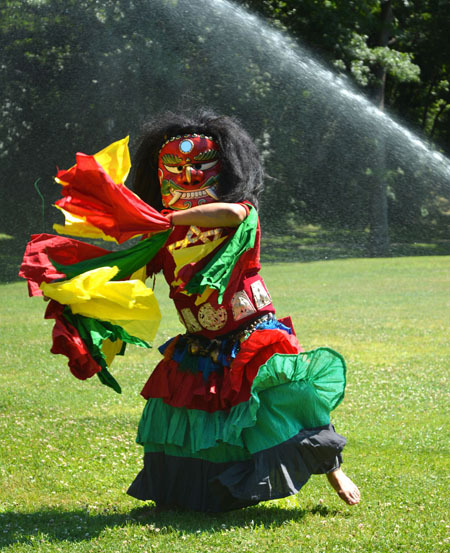 The sprinklers did not discourage Kapoor from dancing. 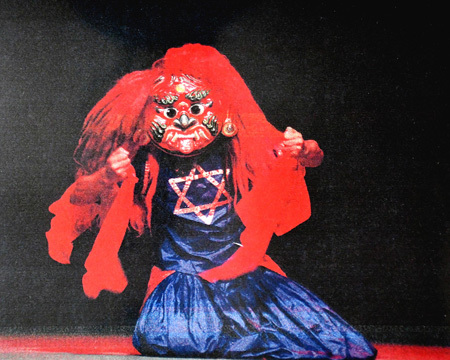 In this video shot by Shyam, Kapoor demonstrates typical moves of the Lakhe Mask Dance. After Kapoor finished demonstrating, we packed up and went back inside so I could do a short interview. 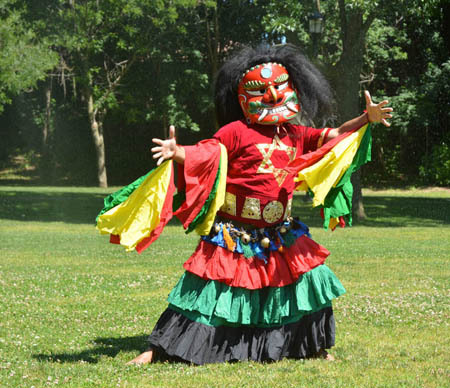 Although it began as a traditional Nepalese folk dance dating back over 5,000 years, the Lakhe dance is now also considered a classical dance. 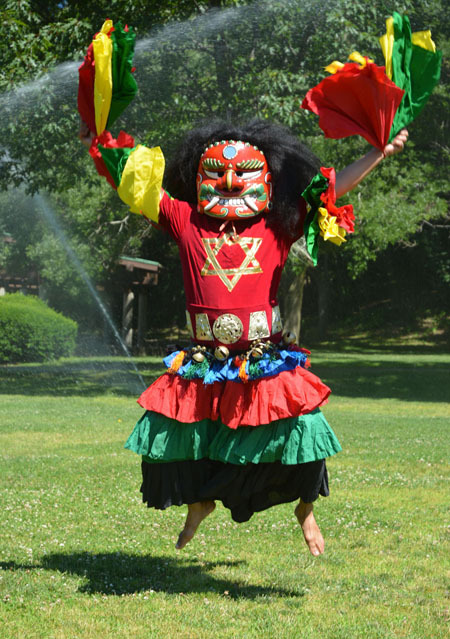 The Newar, one of the castes that live in the Kathmandu Valley are credited with originating the Lakhe Mask Dance. It is done during Indra Jatra (a festival celebrated throughout Nepal, but especially in the Kathmandu Valley). 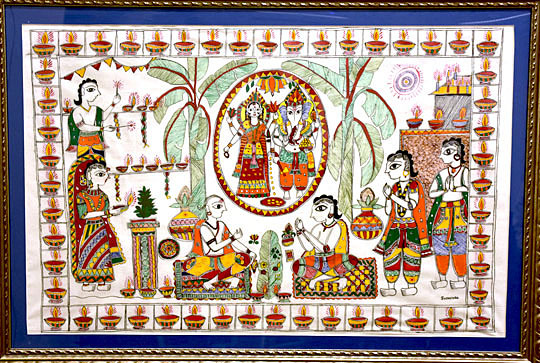 Indra means God and Jatra means festival. One of the remarkable things about the Lakhe dance during Indra Jatra is its duration. As Kapoor notes, “The Lakhe dance is not only for five minutes, ten minutes dance. This is continuously; they are dancing seven days, nine days. Traditionally and historically . . . [the people] who are doing Lakhe dance, they know they are doing one day, two day, three days continual dance, then they feel they have a lot of energy, come from reincarnation. It’s true. It’s a true thing.” Shyam adds that it is similar to trance. 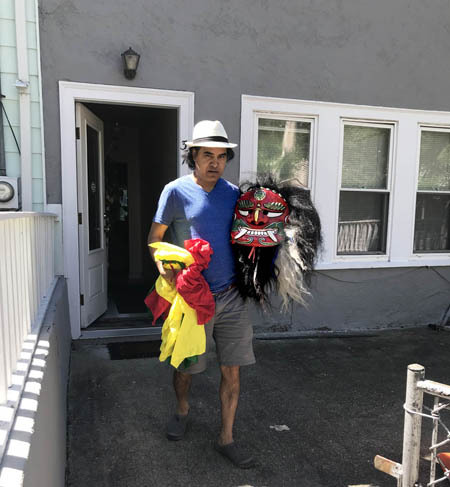 Although Kapoor is not from the Newar dance caste known for the Lakhe tradition, he has been dancing, teaching, and choreographing in both traditional and classical Nepalese dance for many years. He came to the United States in 1996, settling in New York City. Soon after, he established the Dance Theater of Nepal. And he will do that again, when we present a showcase concert on September 8, 2018 at the Shalin Liu Performance Center in Rockport, MA. Which makes me ponder, what are the implications of performing a tradition within the ethnic community in which it arose versus on a stage for those outside the tradition? 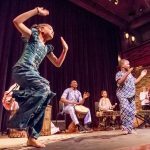 Music and dance traditions take place all the time within local ethnic communities where they are woven into the fabric of everyday community life. Most go unnoticed by the mainstream public. Maggie Holtzberg is Folk Arts & Heritage Manager at the Mass Cultural Council. 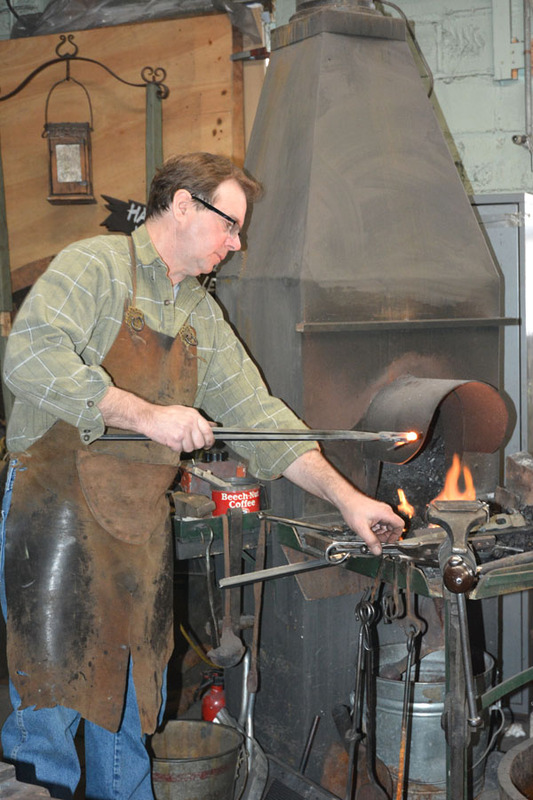 Recently my colleague Maggie Holtzberg and I were interviewing ornamental blacksmith Carl Close, Jr., in West Newton as part of fieldwork for the 2018 Lowell Folk Festival. I met Carl in 2001, when arranging for him to demonstrate his smith work at that year’s event, where the theme was The Arts of Preservation and Conservation. Another artisan, Jim Ialeggio of Shirley, was a window restorer for historic houses and buildings. When Carl’s wife Susan, co-manager of their Hammersmith Studios, looked at a lock on one of Jim’s windows, she said, “This looks like Carl’s work.” Indeed it was. Carl and Jim met, the two artisans began doing business directly, and cut out the middle broker. It’s festival moments like this—when artists meet, admire each other’s work, and forge bonds—that we folklorists live for. 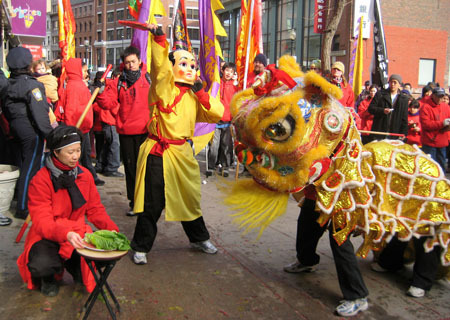 The 20th festival in 2006 featured crafts traditions from across New England. Abenaki basketmaker Jesse Larocque, from Vermont, was pounding black ash to make the splints for his baskets. He started out Saturday pounding a large log and by Sunday afternoon it was merely the size of a walking stick. I happened to go past as two women were commenting, “Now I know why baskets are so expensive,” seeing the amount of physical work, as well as artistry, that goes into them. Another festival moment for me, a visual teachable moment. 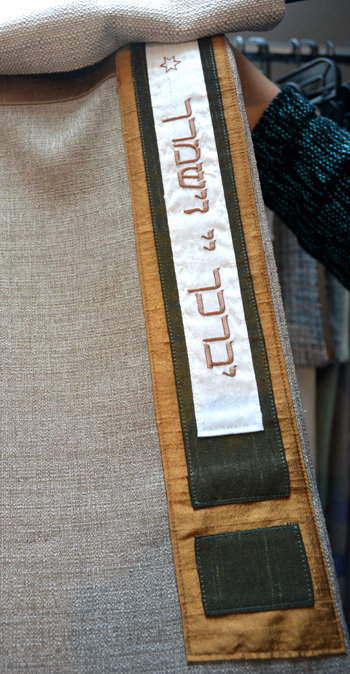 The 2003 festival showcased regional textile traditions. Quilter Sally Palmer Field, of Chelmsford, was a native Lowellian whose father brought her scraps from the mills during the Depression to make her dolls’ clothing. 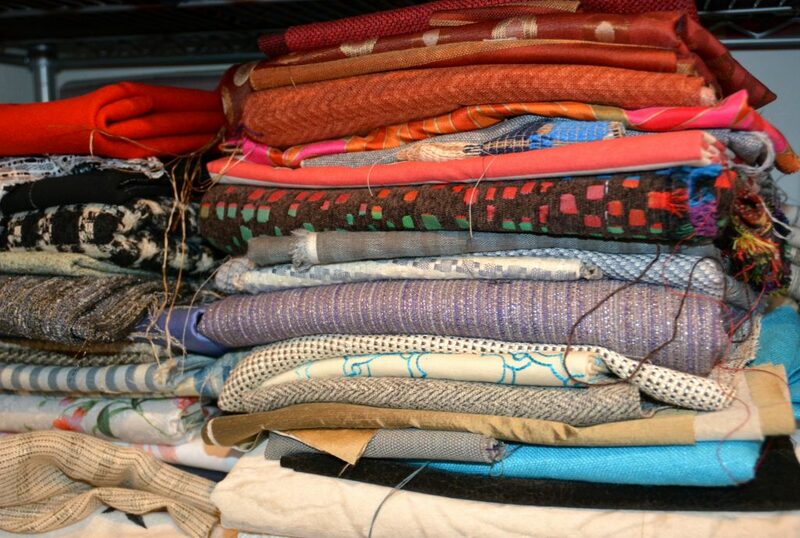 Later, she collected and incorporated mill scraps into her quilts and other fabric art works. Her wall hanging, “Mile of Mills,” sewn with Meyer’s thread, drew many comments of recognition from women who’d worked in the mills and at the Ideal Dress Factory, in particular. 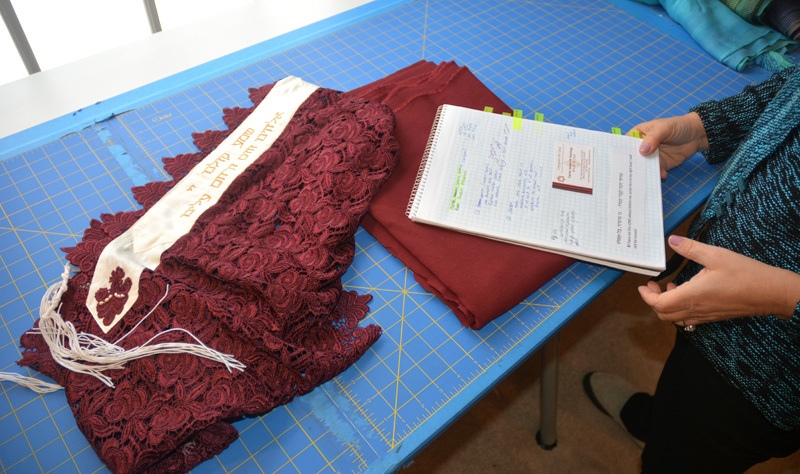 Not only did Sally’s work incorporate her Lowell roots, but it was a collective commemoration of the city’s textile past, including pieces of nylon woven for parachutes during the Second World War. 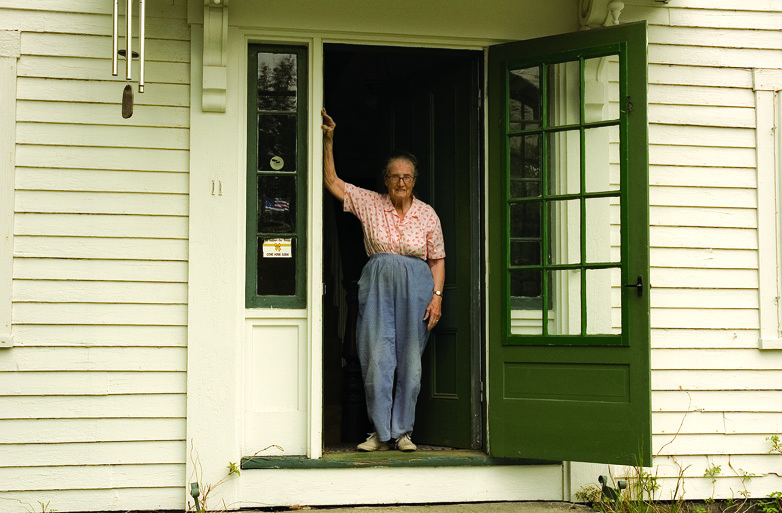 For those women, Sally’s work wasn’t just art or history; it was the stories of their lives. If only I’d had my tape-recorder running. I first met Amy Lassman in November 2017 at a craft fair held at the Hyde Center in Newton Highlands. 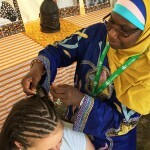 The artistic craftsmanship and depth of meaning in her work stood out from the rows of vendors offering beaded jewelry, crocheted blankets, and felted critters. Amy’s table displayed a combination of Judaica (Jewish ceremonial art) including tallises (prayer shawls), yarmulkes and kippot (head coverings), coverings for challah (braided bread), and afikomen bags used to hold matzoh during the Passover Seder, as well as secular handbags and scarves. It was only when I visited with Amy at her Needham home and studio that I learned she recently decided to focus strictly on the Judaica. 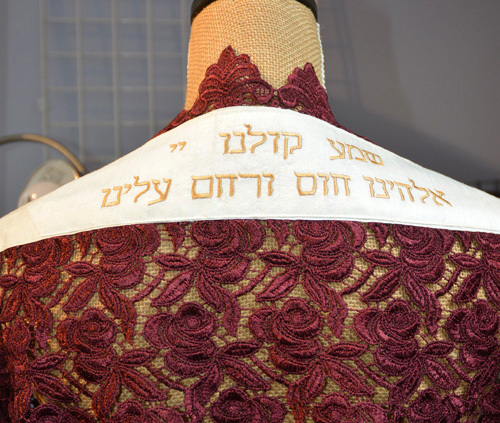 Amy’s Judaica work involves custom design, selection of fine fabrics and notions, sewing, embroidery, lettering, and knot tying — all of Amy’s work is deeply informed by her practice of Judaism, familiarity with the sacred sartorial objects of religious ritual, and her educational background in psychology and family dynamics. 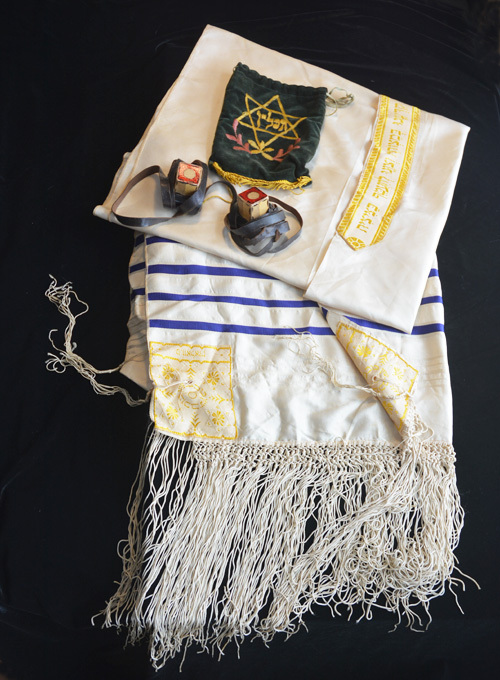 In addition to my recording gear, I had brought my late father’s tallit, tefillin, and yamulke as a way of reconnecting with these religious objects and to learn something of how tallises dating back to the mid-1930s differ from ones custom made today. For a folklorist, I am remarkably uninformed about my own heritage. Unlike Amy, who attended Jewish Day school and high school, worships at a local synagogue, and is very involved in the Jewish community, I was raised without formal religious education and self-identify as a “secular Jew.” Although I have fond memories of attending Passover Seders with extended family and friends, I have never stayed home from school or work on Jewish holidays. And although my father’s family attended a conservative temple, the rabbi there was a socialist. My mother’s father was anti-organized religion and felt more affinity with socialism and unionism than Zionism. 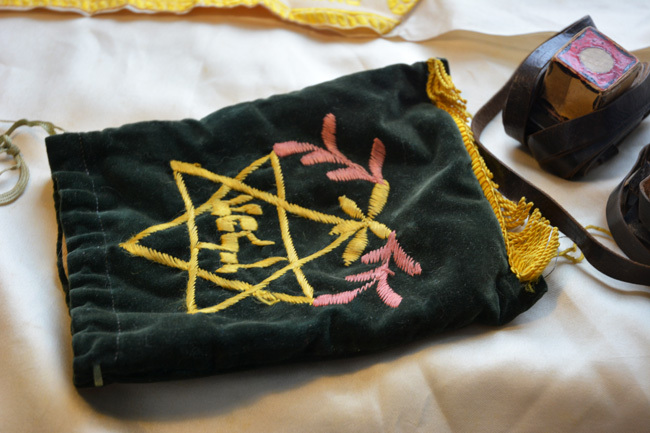 So it was especially meaningful to get tutored in the meaning of the contents of my father’s velvet tallis bag. 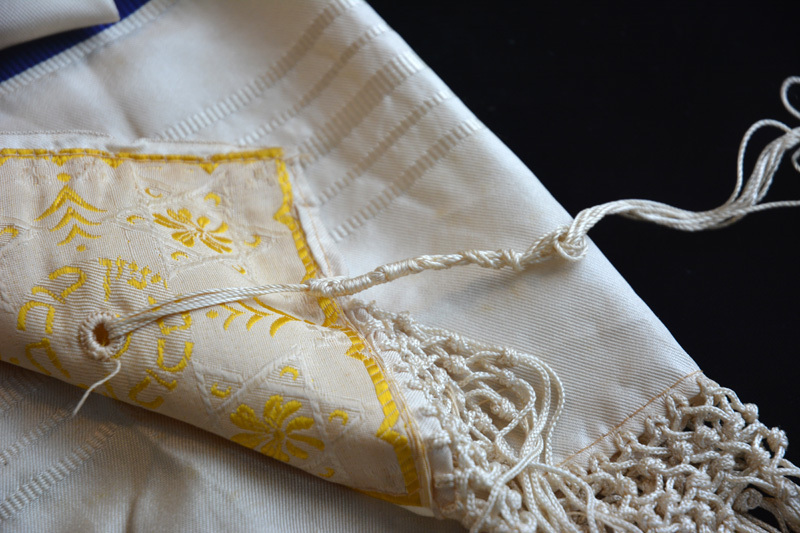 Corner of tallit belonging to Maggie’s father, showing tzitzit . 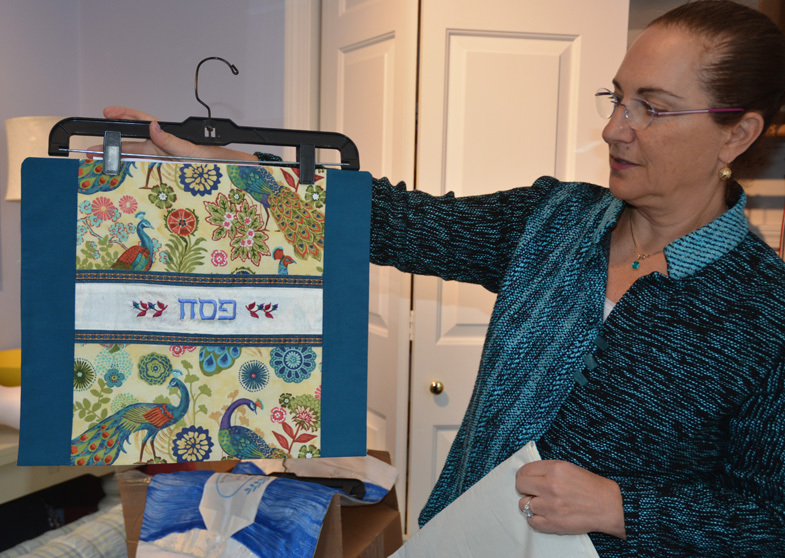 Amy holding up afikomen bag embroidered with Hebrew letters for Pesach. Having sewn all of her life, it was just a few years ago that Amy began making challah covers and afikomen bags. It is a task Amy Lassman is undeniably up to. 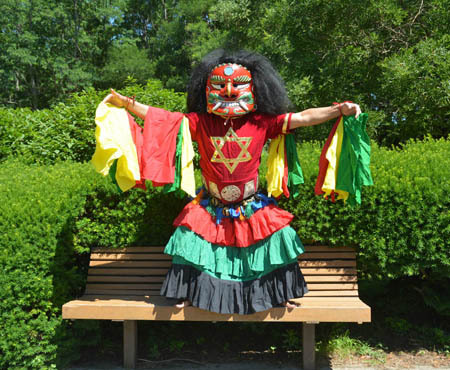 Maggie Holtzberg is Folk Arts & Heritage Manager at Mass Cultural Council. Apprenticeships are a time-honored method by which an individual learns skills, techniques, and artistry under the guidance of a recognized master. 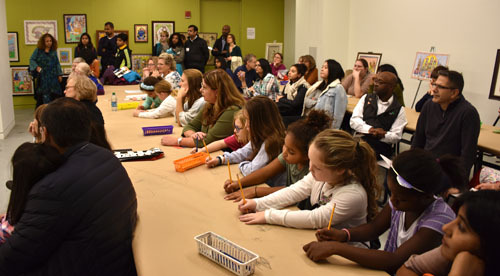 Since its founding in 2001, the Massachusetts Cultural Council’s Traditional Arts Apprenticeship Program has funded over 100 artists in a vast array of traditions, both old and new to Massachusetts. Applications are now available. 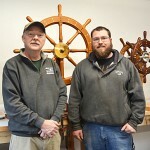 Recent apprenticeships funded by Mass Cultural Council’s Folk Arts and Heritage Program include mentorships in Cape Breton step dancing, design and building of wooden ship’s steering wheels, Cambodian traditional ornamentation, wooden boatbuilding and restoration, West African dance, Scottish & Cape Breton fiddling, and Mithila and Warli arts. The deadline for applying is April 12, 2018. Guidelines and applications are now available. We are delighted to announce the 2018 Artist Fellows and Finalists in the Traditional Arts, awarded by Mass Cultural Council. Fellows each receive $12,000 and Finalists each receive $1,000. The next opportunity to apply for these awards will be October of 2019. At the age of five, Kieran Jordan watched Irish step dancing for the first time in a St. Patrick’s Day parade. Soon after, she was taking lessons in her parish hall on Saturday mornings. Thus began her life-long journey to becoming not only a renowned Irish step dancer, but also a cultural activist and an invaluable resource within the Irish-American community. 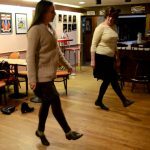 Jordan is a gifted dancer, choreographer, and teacher of old style Irish step dances, a tradition that is intricately tied to Irish history, local culture, and traditional music. 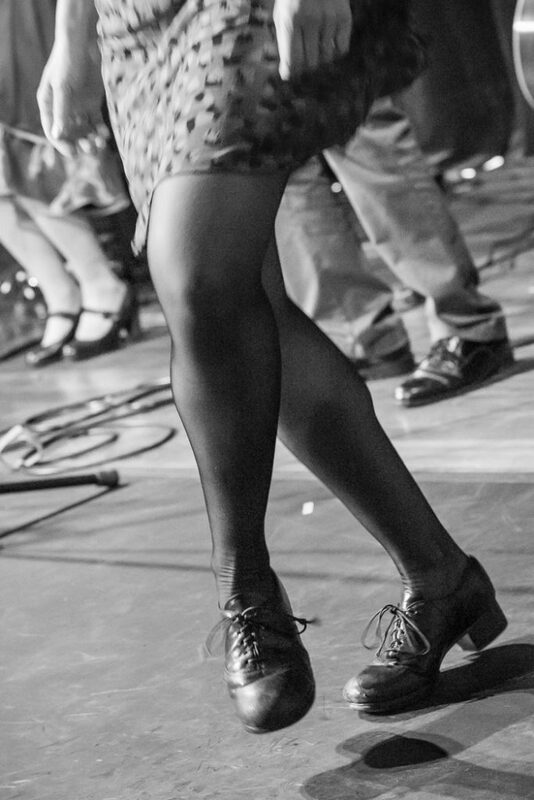 She displays the aesthetic assurance that naturally evolves from the dedication of a gifted artist who has danced competitively within the Irish traditional step-dancing sphere. Panayotis League specializes in traditional Greek music and oral poetry indigenous to the Greek island of Kalymnos, Crete, and their diaspora communities. 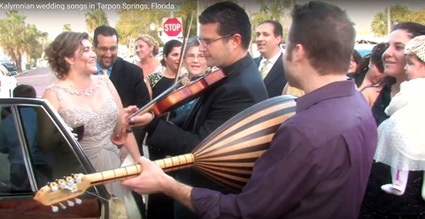 With family roots in the Greek community of Tarpon Springs, Fla, League pursued his interest in traditional music by journeying to the Greek islands to study laouto and tsabouna, with older master musicians on Kalymnos in 2001 and violin on Crete in 2003. Today League is one of the few in the US who specializes in the laouto music of Kalymnos. 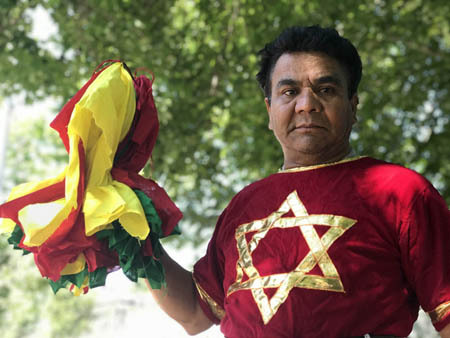 In addition to concerts and festivals, he is a frequent performer at local marriage celebrations, baptisms, and feast days in the Greek diaspora community. He is also a scholar of Greek music. 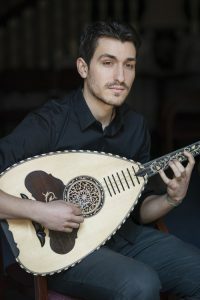 His dissertation focused on the music of Boston’s Anatolian Greek diaspora. League is currently a postdoctoral fellow at Harvard’s Milman Parry Collection of Oral Literature, where he is managing the digitization and cataloguing of James Notopoulos’ field recordings from his 1952-53 trip to Greece and Cyprus. Joh’s research has taken him all over Mali to see the dances in the ceremonies of which they are a part. He and his young son Tiemoko were awarded a 2017 MCC Traditional Arts Apprenticeship They focused on the learning of four dances (Didadi, Korodjuga, Mandiani, and Madan), the songs that accompany these dances, as well as why and in what context they are danced. Father and son will also take part in ceremonies within the Malian and Guinean diaspora community both here and in New York. Geoffrey Kostecki excels at the sacred art known as liturgical painting. As a young man, he was inspired by the powerful imagery of Catholicism, first created for the Church during the Renaissance. Kostecki moved to Italy to study at University Lorenzo Di Medici in Florence. There he gained advanced painting techniques required for liturgical painting which include site-specific design, fresco painting, figurative sculpting, stencil design, gilding, and marbleizing. After returning home and earning an MFA, Kostecki apprenticed under figurative painter Graydon Parrish, who himslef had trained through the Atelier method, and with trumpe-l’oeil painter Robert Bock. 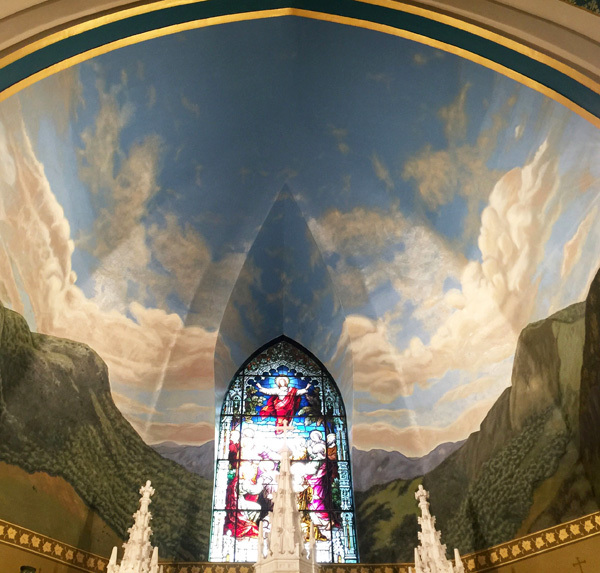 Kostecki’s original work and restorations can be seen in churches throughout Central Massachusetts and upstate New York, including St. Paul’s Church in West Warren, St. John’s in Worcester, and the 30 x 40 feet nave mural depicted here, commissioned by St. Agnes Church in Lake Placid, NY. 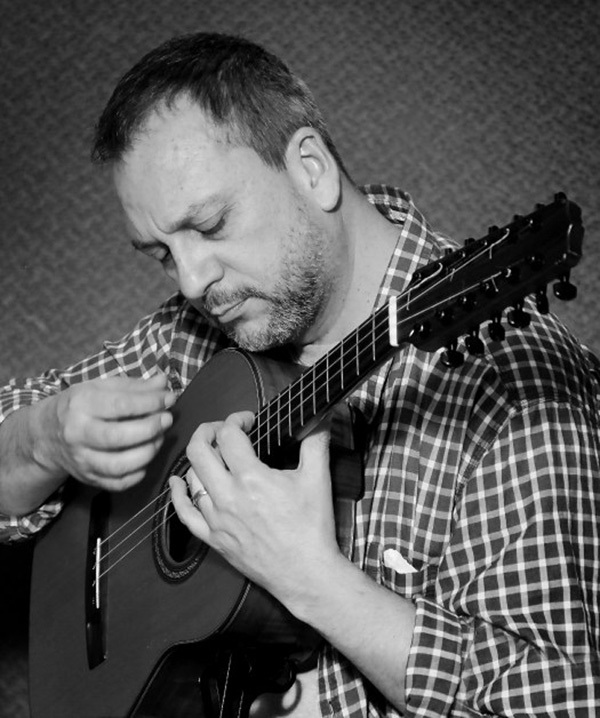 Fabian Gallon grew up in Pereira, the mountainous coffee region of Colombia, where he learned to play the tiple from his father and brothers. He went on to study with Maestro Benjamin Cardona before entering the conservatory of Universidad Technologica of Pereira. 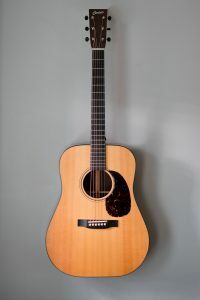 Similar in shape but distinct from the guitar, the 12-stringed tiple is considered the national instrument of Colombia. It recently gained a renaissance when it began to be played more as a solo instrument. The style Gallon developed went from simple strumming to a complex blend of sophisticated picking and rich variations of strumming figures. The distinctive fiddling style of Cape Breton, Nova Scotia has roots in the strathspeys and reels brought to Canada by early 19th century Scottish immigrants. 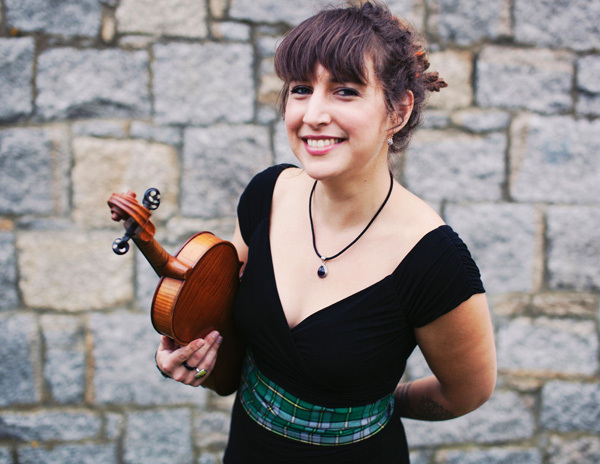 Emerald Rae Forman has mastered both Scottish and Cape Breton fiddling. She began her study with Boston based Barbara McOwen, renowned for her private library of Scottish music books. Emerald went on to compete in the US Scottish Fiddling Championships, winning the US National Champion title at 18 years old. She went on to earn degrees from Berklee College of Music and the University of Glasgow. 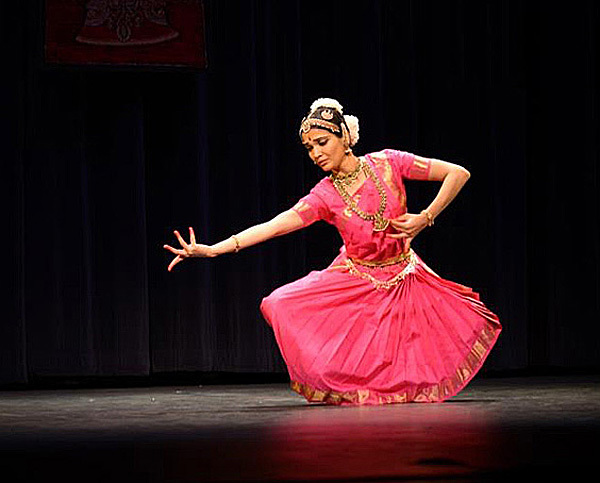 Soumya Rajaram performs and teaches Bharatanatyam dance, a South Indian classical tradition with strong spiritual connections to Hindu religion and mythology. Although originally a hereditary tradition, the teaching of Bharatanatyam has become institutionalized. Indeed, Soumya came up within a deep lineage of dance teachers trained at the Kalakshetra Foundation in Chennai, India. 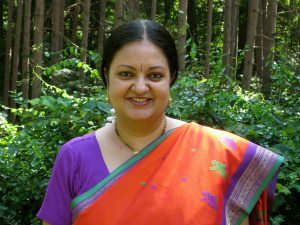 In addition to her years of dedicated training in the technique and expressive elements of Bharatanatyam, she has extensive training in Carnatic music, which is integral to Bharatanatyam dance. Known for her exacting standards, Rajaram is skilled in nritta (abstract dance) and abhinaya (emotive aspect). She performs regularly at festivals and concerts and is thought of highly by senior dance teachers who first brought Bharatanatyam to southern New England. 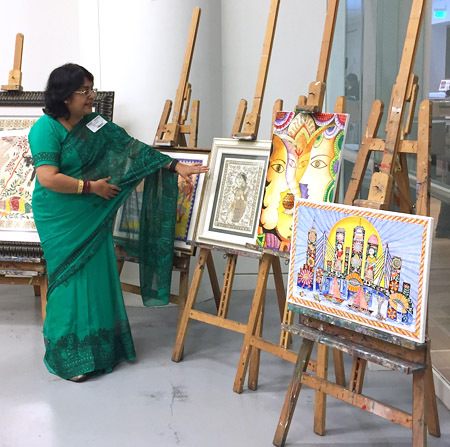 Soumya is an active contributor to the India arts community in Greater Boston. She continues to enhance her learning under the mentorship of Sheejith Krishna, spending a few months a year at his studio and home in Chennai. A couple of years ago, Alan Kaufman introduced me to Sushil Gautam, a Nepali immigrant he’d met at the local Dunkin Donuts in Arlington. It was Alan’s fiddle case that caught Sushil’s eye and the two struck up a conversation. 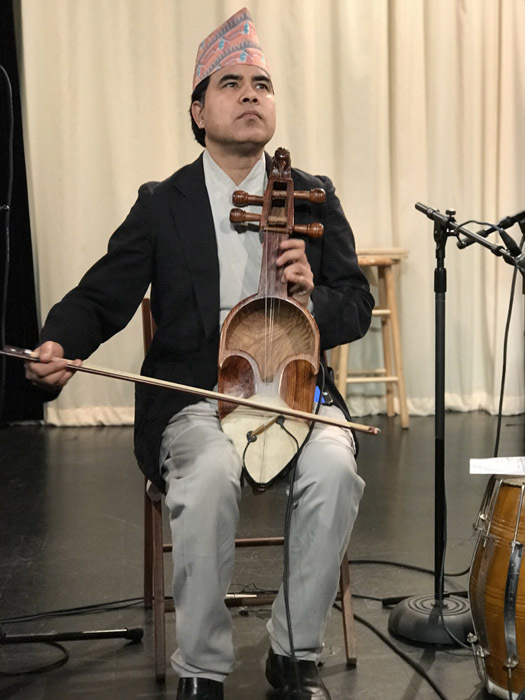 Sushil, who had written a book on the Nepali sarangi (fiddle), was eager to meet an American fiddler. Today, the two have become friends and Sushil has moved on to work in information technology for a local healthcare company. Last week, I was delighted that Alan invited me to the filming of In the Tradition, a studio show he writes and hosts at Arlington Community Media, Inc. 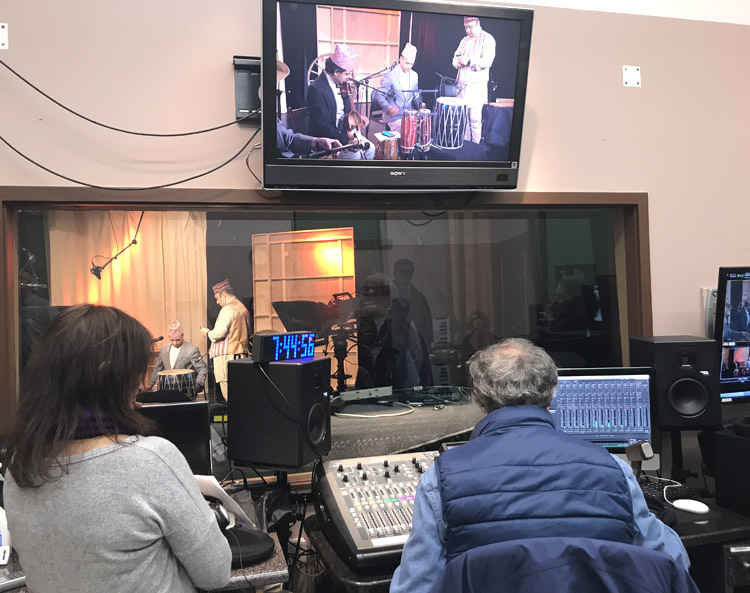 The hour-long broadcast features local and visiting musicians. Recently, Alan has ventured beyond western traditional music. 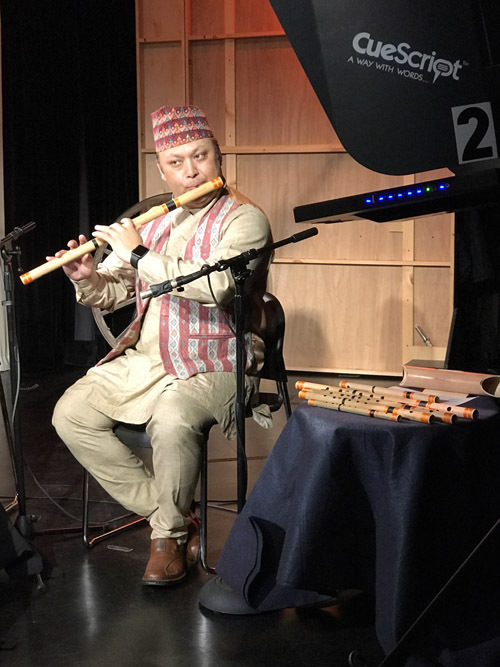 On the December 20, 2017 shoot, the featured guests were three local Nepali musicians: Shyam Nepali on sarangi, Sushil Gautam on jaw harp and madal, and Ranjan Budhathoki on flutes. Of the three, only one, Shyam Nepali, is a member of the Gandharba occupational caste of musicians. Historically, the Gandharba traveled from town to town in the mountainous regions of Nepal. Much like other hereditary musicians, they played a key role in society, traveling from village to village, spreading news and entertaining. The tradition of playing the sarangi is associated with the Gandharba. 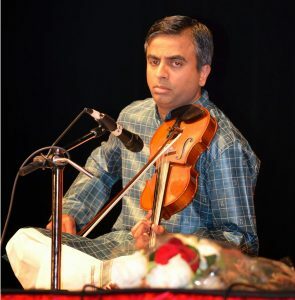 Indeed, Shyam comes from a long line of traditional musicians, primarily sarangi players. His instrument was made by his brother and features a carved bird as a scroll. The sound box is covered with goat skin. Shyam explains that the string is played by placing the fingernail (rather than the pad of the finger) on the metal strings. Although he uses a western style violin bow, traditionally, the bow was made from bamboo strung with soaked cactus fiber instead of horse hair. But I’m getting ahead of myself. . .
We all arrived around 6:00 p.m. at Arlington Community Media, Inc., the local cable television station. It being late December, it was already dark and cold. After unloading musical instruments in “Studio A,” everyone gathered downstairs for pizza while Alan went over production notes. 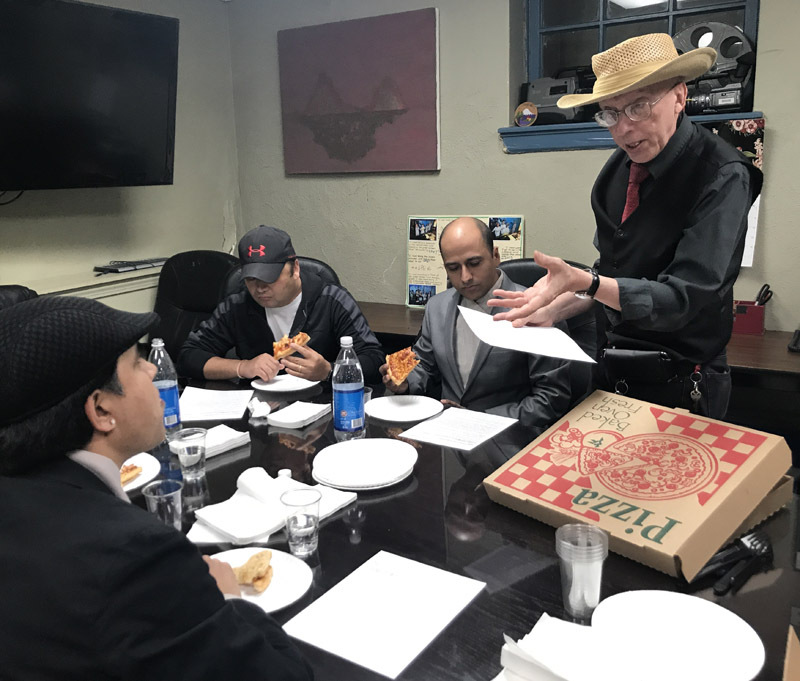 Alan joked with us about how when he picked up the pizza, he mentioned to the take-out staff it was for some Nepali musicians who were going to be performing on his show. “Oh, who?” they responded. Turns out they were from Nepal as well –Greater Boston’s Nepalese version of serial migration. Once back up in the studio, it was time to tune up the musical instruments, check mic levels, and go over the script. In addition to the interview-style chat led by Alan, the group performed a number of songs and instrumentals. Shyam Nepali and Ranjan Budhathoki grew up together in the Kathmandu, Nepal. Ranjan, whose family’s home was farther from the school they both attended, would often go to Shyam’s home. It was a welcoming and musical household. Sushil Gautam grew up 200 kilometers away in Pokhara where he was hypnotized by the music of he Gandharba people. Usually the sarangi is only taught within the occupational caste. 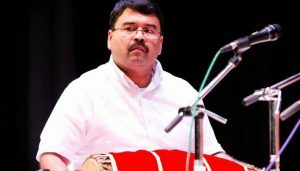 However, Sushil’s parents supported him in learning to play the music. It was not common for someone outside the Gandharba commutniy to learn sarangi. He eventually moved to Kathmandu, where he had the luck to rent a house next door to Shyam Nepali. At the time, he had just started to play the flute, having fashioned one out of small bamboo growing in the back yard. Ranjan went on to become a professional dancer and teacher of dance in Nepal. He and Shyam emigrated to Massachusetts within a few years of each other. When Shyam arrived, the two said, “Why don’t we start a school here? 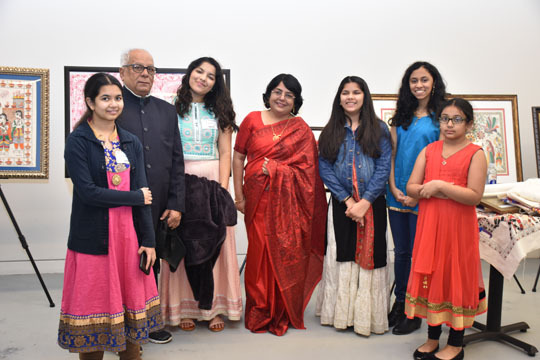 Our population is growing, the children are missing the connection to our Himalayan culture.” Both currently teach at the school they established, the Himalayan Heritage Cultural Academy in Medford, MA. 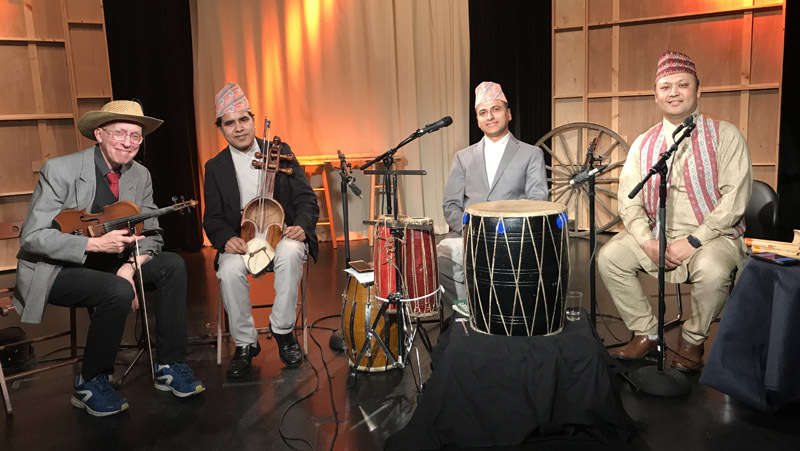 If you are curious to hear this music live, head over to Chulo Cuisine & Bar, a recently opened Nepalese restaurant located at 5 Spring Street (upstairs) in Watertown Square. They perform Friday, Saturday, and Monday evenings. 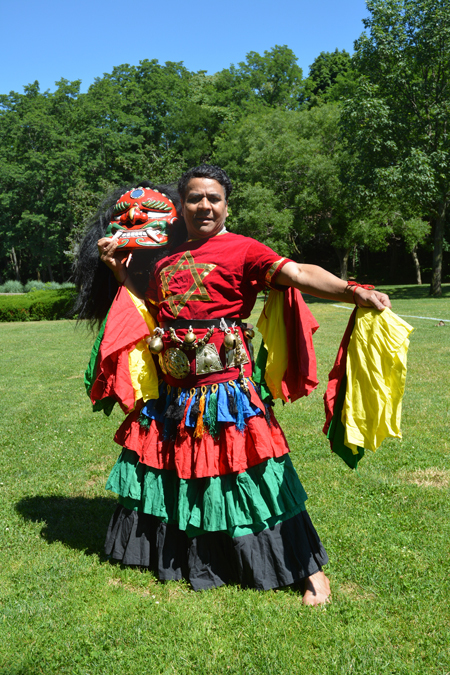 And be sure to watch for the upcoming Nepali feature on In the Tradition. 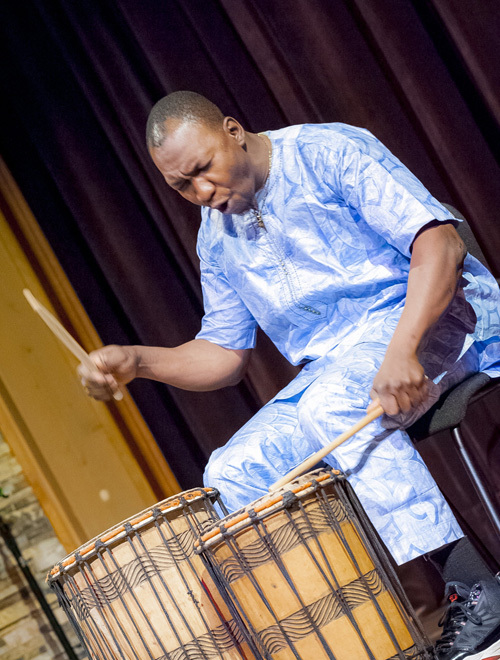 Photos & video by Maggie Holtzberg, Folk Arts & Heritage Program, Mass Cultural Council. Harvest is past and Thanksgiving is upon us, the perfect time to recall recipes and stories, and celebrate the traditions that make us who we are as individuals, families, and communities. We do this in kitchens, at tables, or in other formats where we remember and reflect on the foods we eat, the ways we acquire and prepare them, and the symbols and meanings they have for us, past and present. 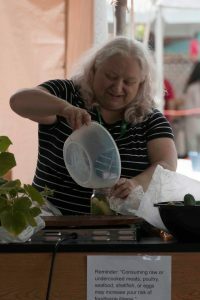 As a folklorist, I’m still savoring the bounty of summer’s riches showcased and shared at regional festivals, particularly in Lowell in late July, where I curate and present the foodways demonstrations. The foodways stage at this year’s 31st event was a festive sampling of tastes, cultures, techniques, and stories featuring foods with ties to land or sea. 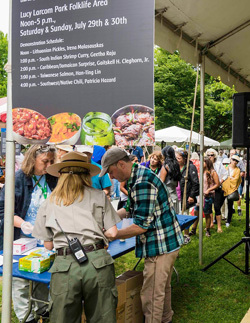 Foodways complemented the larger folklife area theme of coastal and inland traditions exemplified by tradition bearers who produced items such pottery and baskets used to gather and/or store foods, or the quahog and other shells that are turned into wampum by Wampanoag and Narragansett artists, or ship’s wheels, horse saddles, and blankets for gathering and transporting foods, or temple ornaments used in the blessing of the bounty. 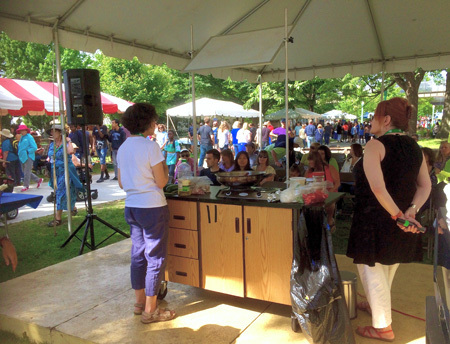 On the makeshift kitchen stage, both home and professional cooks talked about their individual history and culture. Each assembled a recipe while sharing stories of their homelands and the foods they grew up with, and recipes they adapted and maintain here, and then let audiences sample the finished fare—from Lithuanian pickles to Caribbean and Asian poultry and seafood, rounded off with Southwest chili adapted to coastal New England. Irena Malasauskas emigrated from Lithuania, where her mother always kept wooden barrels of pickles and of sauerkraut in their kitchen. 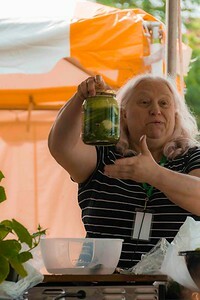 Now Irena makes pickles regularly, keeping them in plastic and glass jars, and even assembled ready-to-eat ones in plastic bags. Pickles, we learned from Irena’s husband and from her granddaughter visiting from Germany, don’t last long in the Malasauskas household. 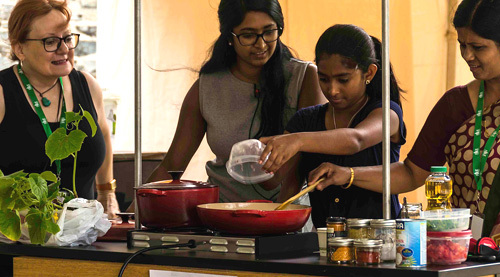 Geetha Raju, originally from Tamil-Nadu in southern India, made a South Indian shrimp curry, ably assisted by her daughters, Shuruthe and Laya, who are learning the family traditions of cooking and baking. While Geetha here uses tinned coconut milk, she noted that at home in India, which she visits as often as she can, they simply can go outside and pick a coconut off a tree. Laya wants to go into the culinary arts; I suspect we’ll be seeing more of her on the Lowell foodways stage. 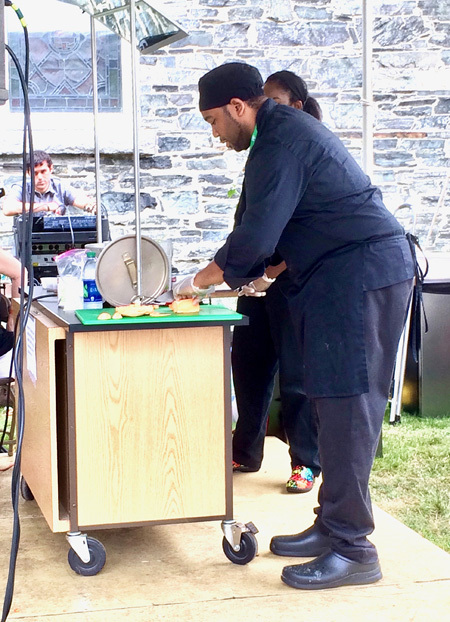 Gaitskell Cleghorn, Jr., known as “Chef Gates,” teaches culinary arts in an after-school program for middle school students. He and his partner, Mika Brinson, have Jamaican roots. They talked about the variety of fresh ingredients in Jamaica, where chicken is widely available, either in shops or raised in backyards, and the ease of the cooking and eating on the beach or on rafts in the water in a mild climate. 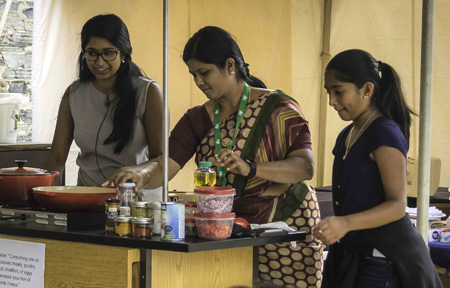 They, too, used coconut milk for their chicken dish, while giving tips on slicing vegetables safely and easily, and quizzing the audience on culinary knowledge and the science of cooking. Han-Ting Lin is a physician from Taiwan where, she says, fish is a staple in markets and “is a must” at New Year’s Eve dinner. As an oncologist and enthusiastic home cook, she advises “everything in moderation” and talked of the benefits and ease of preparing simple, healthy, and inexpensive meals from scratch, especially in a wok. 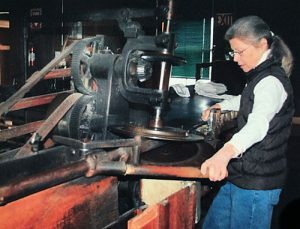 She uses a square-bottomed wok that she brought from Taiwan, but noted similar ones are available in Boston’s Chinatown and can be used on either electric or gas stovetops without an adapter. She shared her favorite fish marinades, which she served on different days with squid and salmon–a commercial Korean barbecue sauce, and her own blend: 1 cup olive oil, a “big ginger root,” and 1 ½ tablespoons bottled curry powder. 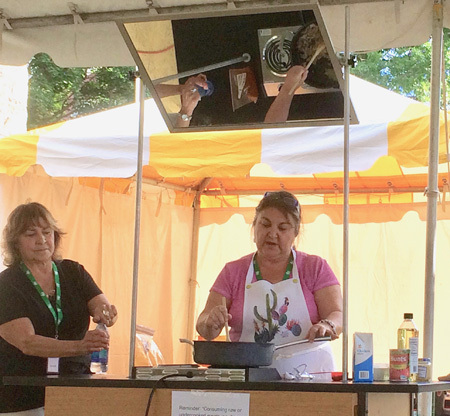 Patricia Hazard and her sister Viola Solano, dubbed the “Chili Sisters” onstage, made two kinds of Southwestern chili from their mother’s recipe originally from New Mexico, whence they ordered the special chili pepper ingredients for the Southwest flavor they remember from childhood. One sister likes beans in her chili; the other does not, but the basics are the same and each has been making her chili recipe for decades in coastal New England. Catch us next year at the 32nd Lowell Folk Festival, when our foodways theme will be FLATBREADS & WRAPPED FOODS. Flatbreads, often called pancakes, can be served “as is” or topped, or wrapped and filled with sweets or savories. Whether you call them ploys, hoe cakes, crepes, blintzes, chapattis, johnnycakes…they’re delicious. Come taste for yourself.